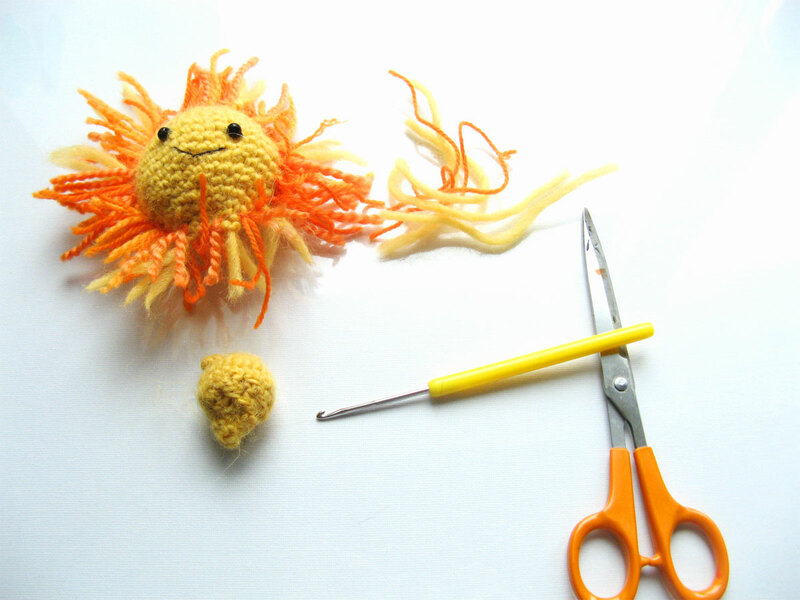 Amigurumi Sun free crochet pattern: This is a Crochet amigurumi pattern, very easy crochet project for beginners. 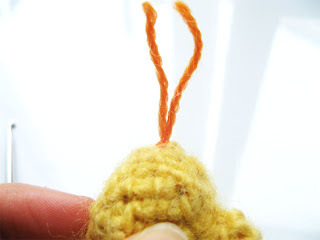 You will learn how to make an amigurumi easy and simple. This can be a fast crochet project for a handmade gift, you can use this sun as a keychain, nursery decoration, x-mas tree ornament, etc. In this Sun amigurumi pattern you will learn the basic method for how to make amigurumi hair. 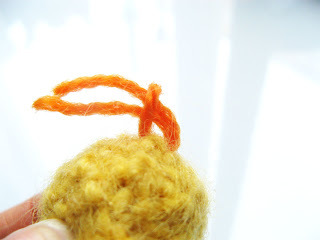 As well as how to make the basic amigurumi sphere. 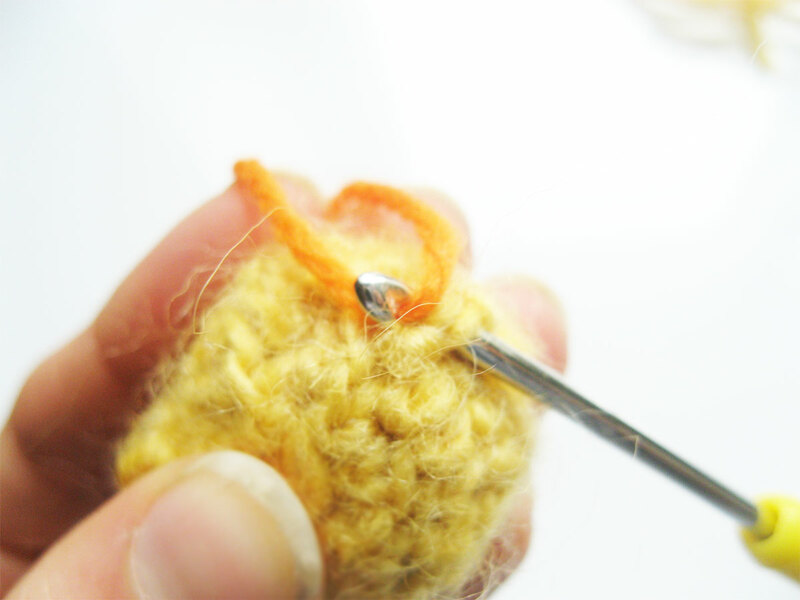 For this pattern I am using a 4 mm Clover hook but you can use a smaller or bigger. 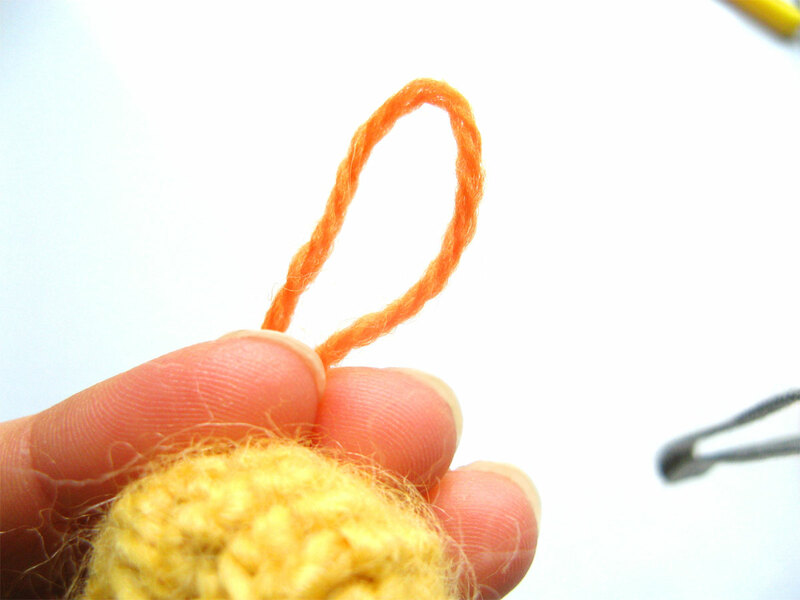 The bigger the hook the less tight the stitches and the bigger your amigurumi. 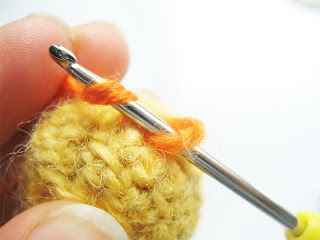 If you use the hook I am recommending in this pattern and tour fabric still looks loose (you can see the stuffing) you should use a smaller hook. - Inv. Dec: invisible Decrease 2. 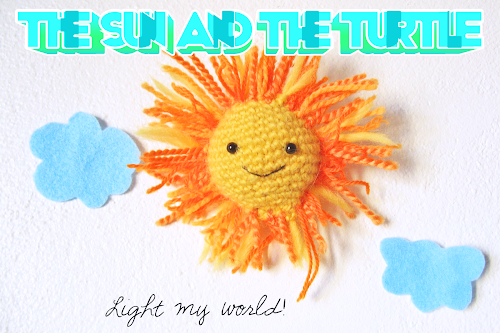 The rays goes all around the face of your amigurumi sun. You will need pieces of wool in different sizes and colors to pass through and create the sun rays. I am making an example with a small sun. I used two different tones of orange and yellow. Cut a piece of yarn which is double the length that you want the sun ray to be. Fold it in half and put the loopy end through a stitch in the place where the sunray will be (around the face of the sun). Put the end pieces through the loop and pull. In that way they will be tight and close to the sun head. Amigurumi related creations available in our Etsy store.